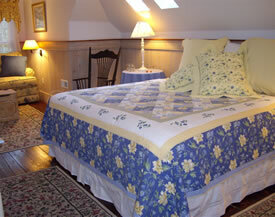 When visiting Massachusetts, look no further than our inn. 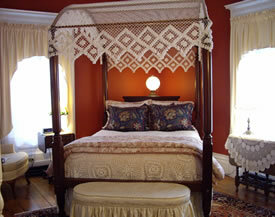 If you are planning to visit Cape Cod, Nantucket, or Martha’s Vineyard, we invite you to discover Isaiah Jones Homestead Bed & Breakfast, offering lodging in Sandwich Village. 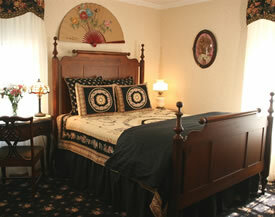 Take comfort in the variety of accommodations in our inn, providing all of the comforts of home during your stay. 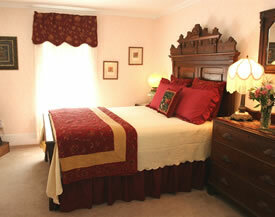 Each guest room features a private bathroom and TV with DVD. Refrigerators for guest use are available in the common areas, and coffee and tea are available at all times. 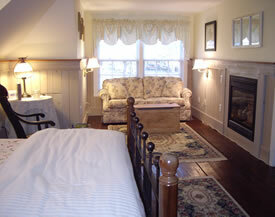 Private and secluded, our two Carriage House Suites are ideal for a special occasion or a relaxing romantic retreat. Alternatively, each suite is able to accommodate up to four with its pullout sleep sofa, creating a wonderful home-like atmosphere for a family with mature teenage or young adult children. 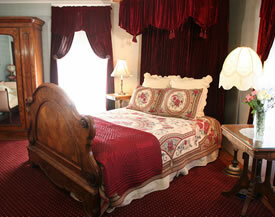 The five guest rooms and suites in the Main House are Victorian in style, furnished with antiques and reproductions. 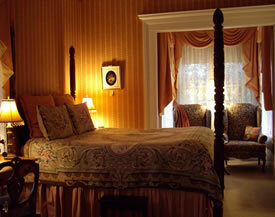 Each room or suite can accommodate two people and provides an elegant yet comfortable and relaxing retreat.